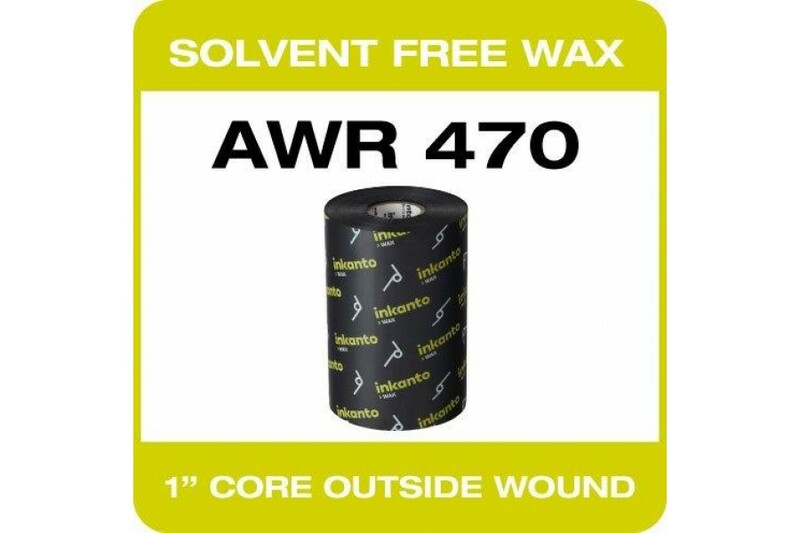 AWR 470 - Outside Wound on 1" core. Boxed in 5’s. Wax Thermal Transfer Ribbons is an economical ribbon and used for printing at speed onto paper stock especially with a matt finish. 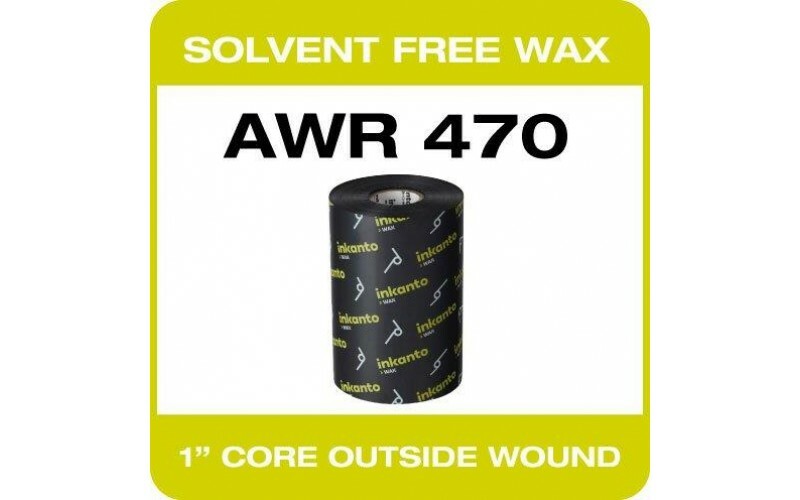 AWR 470 is a general purpose ribbon particularly adapted to standard label printing. The ink provides excellent printing quality of standard barcodes, very small text, large characters and logos, at a blackness up to 2.1 (ODR). The ribbon structure allows printing on all kinds of papers and uncoated papers in particular. This feature makes the ribbon highly recommended to the standard labelling market. Printing is also possible onto various synthetics. The printed image offers heat resistance up to 60°C.